There is a “Critical Mass” bicycle ride planned for 7:00 p.m., Friday, August 31, starting at Downing Park’s Shelter House cafe in Newburgh. A friend from my days in New York City, George Bliss, who helped me deliver my cycling magazine (by cargo bicycle, of course) is credited with being the first to use the term when referring to a large groups of cyclists, when he was interviewed during the film, Return of the Scorcher. I like the concept of a bunch of bicyclists taking over the streets in kind of a flash mob way, but these events can raise the ire of people driving cars, so I have mixed feelings about the effectiveness of creating positive awareness of cycling by staging a critical mass ride. I suspect the Newburgh ride will be well-mannered and at least as useful for networking with other cyclists, so I would say go check it out if you can. 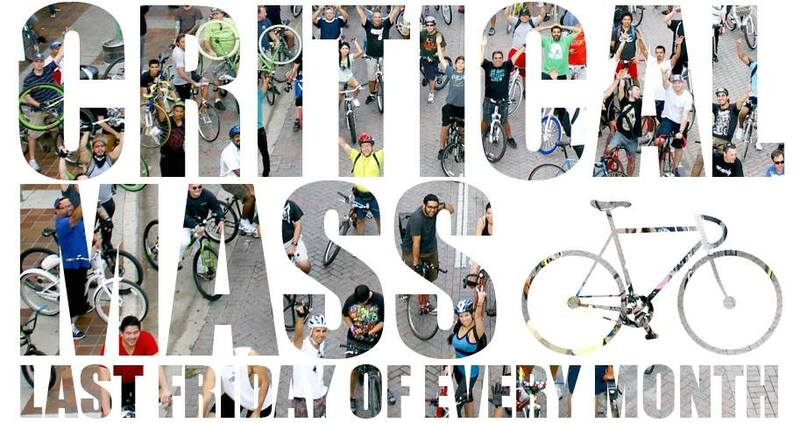 Further details on the Newburgh Critical Mass Bicycle Ride. Because the ride will be held at dusk to give people a chance to get home from work, it is important—nay, critical— to have lights on your bicycle if you plan to attend. Peoples Bicycle in Beacon is offering 10% off all lighting to anyone using the secret code “critical mass” this weekend. Have fun out there!